Probable location of former pillbox. Modern sea defence has had a detrimental impact on wartime defences in this part of Walberswick. 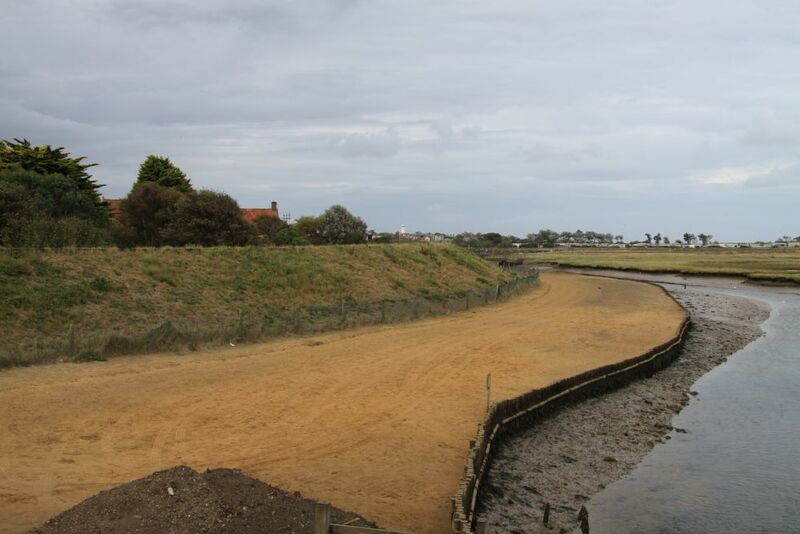 The sea wall has destroyed all traces of the pillbox that was situated at the turn of the embankment. From here, the occupants would have had a field of fire directly towards the harbour.